$4,450 is actually not a lot of money when you will be collecting $15,200 from the sale of 50 discount tickets at $25 per person plus 400 full priced tickets at $35 per person. In addition our “buyout” program allows recipient organizations to raise ADDITIONAL funds through special VIP ticket pricing as well as local business and corporate sponsorships which we work together with you to HELP you obtain! Click HERE for FOUR more ways that we raise funds for you! IN ADDITION: $6450 for our most prestigious Jazz for Peace Big Band is ESPECIALLY NOT a lot of money when you consider that for only $2500 more than our “buyout” fee you will be getting 10 additional musicians whose performance fees, transportation and lodging will all be paid for by Jazz for Peace. We fund these additional fees out of our OWN DONATIONS to make this price especially affordable. For the organization that is expecting anywhere from 225 people or more at their event the Buyout fee is DEFINITELY the way to go in order to raise the most funds possible for you because in addition to the funds raised through sponsorships, donations etc., you can also charge as much as you want for tickets with some organizations charging as high as $300 ! Please let us know if we can be of any additional help to clarify our Jazz for Peace “buyout” program. Our 100% to you! Buyout Program raises maximum funds for our Empowerment Grant Recipients! Our studies from our past events have shown that our 100% to you! Buyout Program has been a key ingredient for enabling maximum funds to be raised for our Grant Recipients. A long term partnership that raises funds, publicity and awareness for your organization at no cost to you! The main purpose of the Jazz for Peace Benefit Concert Series is to Change the World Through Jazz by creating the opportunity between our organizations for a long term partnership for bigger and better things to come. 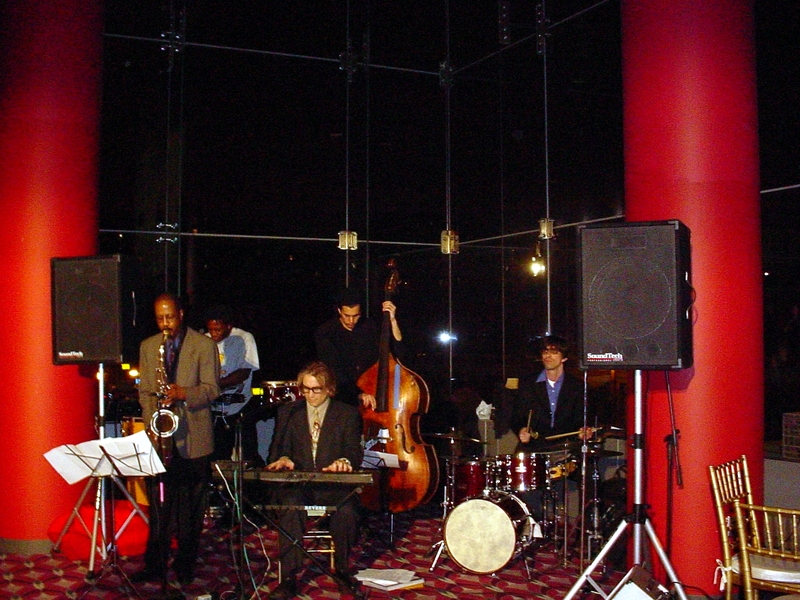 For example: On Saturday, March 13, 2004 Jazz for Peace played a Benefit Concert for Harlem Dowling-West Side Center as part of our Benefit Concert Series at Jazz on the Park. At that concert was a friend of a volunteer who made a suggestion to a volunteer who was also at the concert who then told a board member who was also at the concert who then told the Events Director (who - you get it - was also at the concert!). The idea turned out to be a special VIP concert featuring the Jazz for Peace Quintet which took place on Thursday, April 8th at Magic Johnson Theater in Harlem where over a quarter of a million dollars was raised. This is just one of many examples. We are now moving forward with this wonderful organization to our third stage event while moving to the second stage and fourth stage with other organizations.